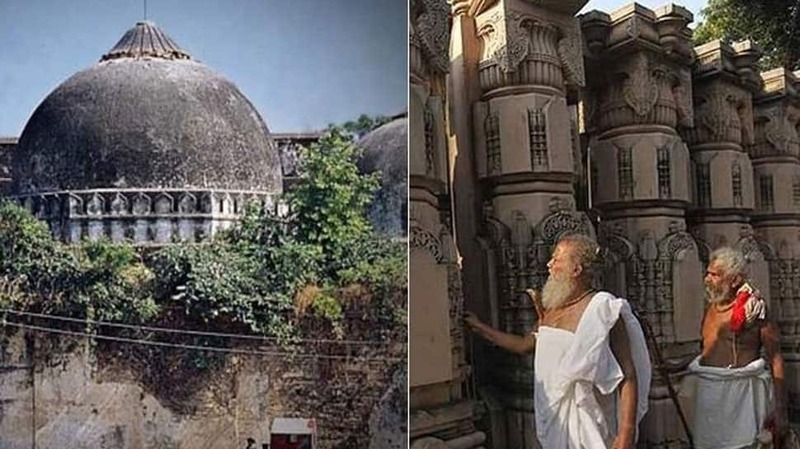 Ayodhya dispute live updates: The court on October 29 had fixed the matter in the first week of January before an "appropriate bench", which will decide the schedule of hearing. The Supreme Court on Friday postponed the hearing in the Ram Janmabhoomi-Babri Masjid title dispute case to January 10. The matter is listed before a bench comprising Chief Justice Ranjan Gogoi and Justice S K Kaul and was scheduled to take up a batch of petitions for hearing. The apex court is likely to constitute a three-judge bench for hearing as many as 14 appeals filed against the 2010 Allahabad High Court judgement, delivered in four civil suits, that the 2.77-acre land be partitioned equally among the three parties -- the Sunni Waqf Board, the Nirmohi Akhara and Ram Lalla. The court on October 29 had fixed the matter in the first week of January before an "appropriate bench", which will decide the schedule of hearing. A three-judge bench of the top court had on September 27, by 2:1 majority, refused to refer to a five-judge constitution bench the issue of reconsideration of the observations in its 1994 judgement that a mosque was not integral to Islam. The matter had arisen during the hearing of the Ayodhya land dispute. Various Hindutava organisations have been demanding an ordinance on early construction of Ram temple at the disputed site. The Babri mosque which stood at the site was demolished in 1992. The hearing which continued for 60 seconds, did not see any arguments from either side. Supreme Court hearing on January 10 on a new bench to be constituted to hear the Ayodhya matter. PM Modi had also suggested that the judicial process was being slowed down because Congress lawyers were creating "obstacles" in the Supreme Court. "We have said in our BJP manifesto that a solution would be found to this issue under the ambit of the Constitution," the Prime Minister said when asked whether the Ram Mandir issue had been relegated as merely an emotive issue for the BJP. The hearing assumes importance as Prime Minister Narendra Modi on Tuesday suggested any decision on an ordinance on Ram temple in Ayodhya can happen only after the completion of the judicial process. PM Modi's comments came amidst heightened demands by Hindutava organisations, including the RSS, for an ordinance for early construction of the temple. "Let the judicial process take its own course. Don't weigh it in political terms. Let the judicial process be over. After the judicial process is over, whatever be our responsibility as a government, we are ready to make all efforts," said PM Modi. A mahant, who says he is a party to the case has written to Prime Minister Narendra Modi, has sought impeachment proceedings against Chief Justice Ranjan Gogoi. In a letter that is also addressed to Congress chief Rahul Gandhi and BJP president Amit Shah, Mahant Dharam Das has accused the Chief Justice of India of showing disinterest in the title suite. Dharam Das represents Ram Janmabhoomi Nirman Samiti, which seeks the handover of the disputed site in Ayodhya for the construction of a Ram temple. "If the Chief Justice can't put the 70-year-old case on priority, then what is the use of such a Chief Justice? We don't have faith in him anymore and that is why we want him removed from this case," he told reporters. On December 24, a Supreme Court bench headed by CJI Gogoi had decided on "fixing the date of hearing before the appropriate bench." On the same day, Union Minister Prakash Javadekar said that the central government wants the Ram Janmabhoomi-Babri Masjid title suit to be heard on day to day basis in the court.